Discussion in 'Linux Compatibility and Software' started by Ultra Male, Jun 30, 2018. Dennismungai, Papusan and Vasudev like this. booted off a live USB of Linux Mint Cinnamon 19 and as usual, no wireless connectivity and no graphics driver. I can't believe that such basic thing can't be incorporated into the OS. Now, where do I get a driver for the Killer 1550 and my nVIDIA Driver for the GTX 1080 for Linux? The nVidia drivers are there on install, not from a live boot from dvd. The install will go thru the detection for hardware, and one of the last steps upon install will ask if you want to use proprietary drivers...i.e. nVidia drivers for video and Intel microcode for CPU. Also, IIRC someone posted instructions for Killer wifi if the detection doesn't pick it up. I'm just waiting for their upgrade instructions to go from 18.3 to 19. Mr. Fox, alexhawker and Vasudev like this. There are restrictions placed on open source community not to redistribute Proprietary blobs on an ISO. That's the reason most Linux distro exclude mp3 and proprietary audio codecs from being slipped into the ISO. Since mp3 is superseded by Fraunhoffer IIS and said to use alternative codecs. So now you get those codecs included in ISO these days. So you get what I'm saying. You might have to install alsa audio dkms pkg if you want Creative or ESS Sabre to work correctly. Linux works best on older hardwares. You need to disable secure boot for Linux. Mr. Fox, Dennismungai, jclausius and 1 other person like this. 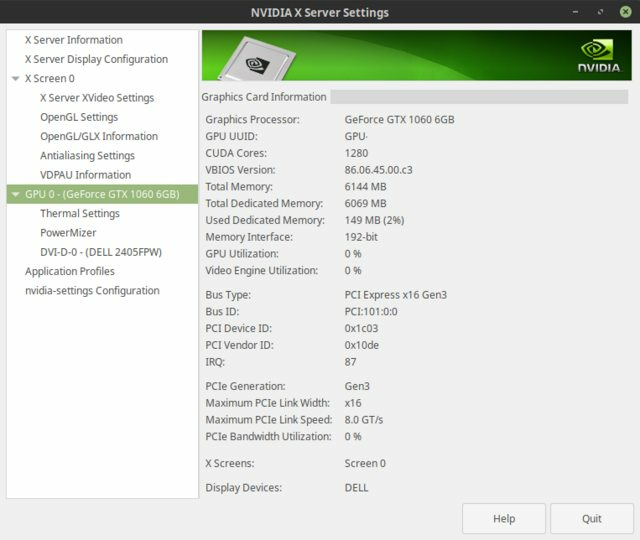 I can verify that the proprietary nVidia drivers are downloaded during an install of Linux Mint. Dunno about the Atheos drivers for Killer wifi, but do recall someone posting instructions regarding install. Just an update - I did a fresh install of LM 19 [ http://forum.notebookreview.com/threads/removal-of-os-from-efi-grub.820741/ ], overwriting my previous LM 18.3 install. In LM 18.3 there was also an intel-microcode option on the Driver Manager page. I don't know what happened to that option in LM 19... it may have been removed or moved to a new location. I have not seen a debian based live distro in the past eight years or so that was unable to detect the wifi card, so I found your post quite interesting. Looking into your issue, it seems that intel has slow-walked driver development for the newest hardware (it took some extra time for the killer 1535 to get support as well, from a quick google search). I haven't looked too deeply, so I'm not sure if it's just slower linux-firmware updates restricting the problem due to licensing or if it's because they have to rewrite generic open source drivers from scratch with each new iteration of intel's hardware. Blame intel, not the devs. Personally, I'm thankful that we don't have to compile drivers ourselves anymore because of licensing restrictions. As far as the native nvidia driver support (you'll still get a display with open source drivers, but without the nvidia binary blob you'll be extremely short on features and probably performance), you won't get that on any liveUSBs again because of licensing issues. Distribute any code or information from the big companies regardless of profit or intent and you too can get squashed like a bug by a judge's gavel weighted down with hundred dollar bills. Microsoft, Intel/Nvidia and the rest have created an environment of hostility and paranoia, and it's an absolute shame because the result is slower technological progress in the name of selling more units with carefully constructed planned obsolescence. Original site if you want to keep a tab on microcode updates and FW for newer hardwares. @Vasudev, for the wifi, Phoenix will need drivers for Killer AC 1550, so I don't believe the Intel wifi drivers will work. In regards to the other links, I think the point @Phoenix is trying to make is that in today's age Linux distribution, he shouldn't have to mess around finding, compiling, and installing his drivers from outside the installation, and it should just work. However, I do believe, if he would install LM 19, and choose the option for installing third party software, which includes vendor supplied video and wifi drivers, he may find he doesn't need to monkey with any of this, and it may just work after checking after install... It's not a true test to judge a distribution based on the Live Boot image. Aroc, alexhawker, Vasudev and 1 other person like this. I think Killer 1550 shares same codebase as iwlwifi blob for linux which contains firmwares for 9260 since Intel started merging/open sourcing proprietary blobs. However Linux won't support new HWs on first day instead they mature as years go by. Even my Killer 1535 is working perfectly since 4.13 kernel and above. Its performance is close to Windows 10. @Phoenix Did the iwlwifi work for you?